Food is undoubtedly a very contentious issue that divides the American public, with no shortage of opinions on what's right or wrong, healthy or unhealthy and eco-friendly or unsustainable. However, even when it comes to such a polarizing topic, there is common ground to be found by everyone ranging from vegans to die-hard meat eaters. No one can deny the destructive nature of the force that dominates our food system (i.e. industrial animal agriculture or factory farming). When you take into account the fact that factory farms raise 99.9 percent of chickens for meat, 97 percent of laying hens, 99 percent of turkeys, 95 percent of pigs, and 78 percent of cattle currently sold in the United States, it's shocking how much time we waste debating each other, rather than trying to actually change the system. Of course, opinions may vary on whether industry reform is the right solution, whether any form of livestock production is capable of being sustainable at a large scale, whether animal products are inherently harmful to our health or whether exploiting and killing an animal is ever morally justifiable. For a change, let's not spend time focusing on our differences and instead, let's try and address the shocking truth that transcends personal opinions and ideal solutions. The truth is not only do factory farms lead to the mistreatment, suffering and death of billions of animals every year, but they also cause soil contamination, loss of biodiversity, greenhouse gas emissions and land, energy and water wastage. This is not just an animal welfare or environmental concern, it's also a humanitarian crisis, because factory farms are diverting precious natural resources like land, water and fossil fuels to raise farm animals, while millions of people around the world are malnourished and still do not have access to safe drinking water. To make matters worse, consuming meat and dairy products containing hormones, antibiotics, pesticides and dioxins have been found to increase the risk of cancer, heart problems and other degenerative diseases in humans. Further, emerging food-borne diseases are causing public and ecosystem health challenges around the world and are often traced back to industrial animal agriculture. Any hope for arriving at a solution to this monumental crisis will require cross-functional collaboration across movements and experts in an attempt to promote economic and policy solutions that can transform our broken food system and educate people about the benefits of curbing their intake of animal products and consuming more plant-based foods. Trevor Farley is a politician in Manitoba, Canada. In the Canadian federal election of 2004, he ran as a Green Party candidate in the riding of Selkirk—Interlake. 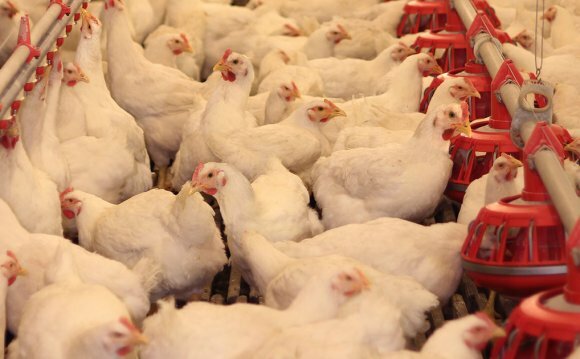 Intensive farming or intensive agriculture is an agricultural production system characterized by a low fallow ratio and the high use of inputs such as capital, labour, or heavy use of pesticides and chemical fertilizers relative to land area..